Your windows play an important role in your home. If you have a broken or damaged window — you need it fixed, and you need it fixed fast. It’s a matter of security for you and your family. At Residential Window Service, we treat every job as a matter of urgency. As soon as you pick up the phone and call us, you can expect a quick, efficient response — often we’ll get out to you within the same day. Whether your child has kicked a ball through your window, or you can no longer see through your windows properly due to fogged up glass — we’ll respond as soon as possible. With over 40 years of combined glass experience within our team, you can rest assured that if you’ve got a window problem, we’ll fix it for you in no time. We’re proud of our response time and customer service, but don’t just take our word for it, read what our customers are saying here! If you have a broken window or if you’re not feeling the benefit of your heating due to drafts from your windows — please don’t wait. Get in touch with us using one of the buttons below! 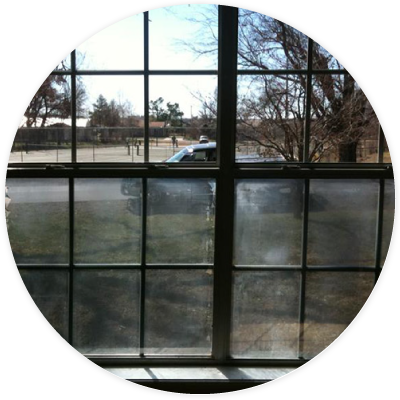 "We loved our experience with Residental Window Services. Our son put a ball through our window and they came out and replaced it in a timely fashion. Very affordable and great customer service. We will use them again for our window needs." Double-paned units are two standard pieces of either single or double strength glass separated by a metal spacer. The sealant material is a rubber-type compound. Over time this rubber-type material dries out, becomes less elastic, and eventually pulls apart between the glass and the IG spacer breaking the seal. When the seal is broken (seal failure) somewhere around the edge of an insulated glass unit (IG Unit), outside air seeps into the internal air space of the double pane glass. Outside air is humid and contains moisture. Once this moisture gets in between the two panes of glass, it saturates the desiccant material and is trapped within the IG spacer. The trapped moisture has nowhere to go, leaving a moisture filled or foggy window, which acts much like a terrarium. The industry standard for repairing seal failure is to replace the faulty IG Unit within the existing window frame. Our experienced installer precisely measures the faulty IG unit. A new, sealed IG unit is custom ordered from our insulated glass manufacturer. Once we receive the custom unit our quality technicians remove the faulty IG unit from your existing frame and install the newly sealed IG unit. Have you ever looked out of your windows on a clear day outside and see fog? But then you realize that the fog is not outside, it's on your windows? This is an issue we have seen many times before. Especially with the extremes of hot and cold weather in Oklahoma, your windows can really feel the brunt of it. And this issue rarely goes away by itself. In fact, it normally just gets worse until eventually, all visibility is lost! And if you’re looking to buy or sell your home with foggy windows, you'll either get a discount on the home sale but will be left with foggy windows or you will have to lower your sale price — either way, you lose out. At Residential Window Service, we’re experienced in solving this issue for you. During our years serving our customers in Tulsa, OK this is a common problem we see and fix. Like many things, your window seals become weaker over time. And foggy windows are a result of this. Insulated Glass: Insulated glass (IG) units, better known as double-paned, double-glazed or thermal-pane windows, consist of two panes of single or double strength glass separated by a desiccant spacer and are hermetically sealed. IG units are manufactured on a made-to-order basis. We get great pricing from our suppliers which we pass on to you! Most double-glazed units come with a ten-year manufacturer warranty on top of our two-year workmanship warranty. 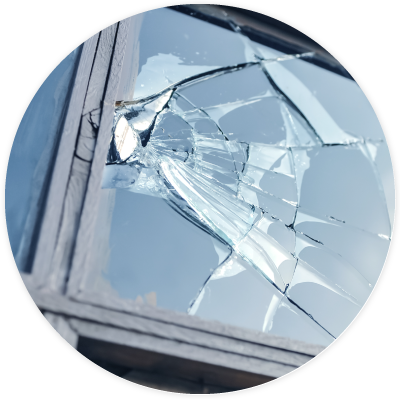 Single Pain and Double Glazed Window Repair: Windows in your home that have broken glass can usually be repaired without having to replace the entire window. Our installers are experts and are familiar with all types and brands of windows. Tinted Glass, Coated & Low-E Glass: During the past 20 years, research and development into different types of glazing have created a new generation of glazing materials. The energy-saving Low-E glass of today has a fine film coating on it which is almost invisible to the naked eye. The Low-E coatings are specifically designed so they help to keep your home cooler in the summer and warmer in the winter. When paired with double-pane window technology, Low-E glass provides the maximum in energy savings. Picture this. Your kids are playing soccer in the yard and the next thing you know, the ball is through your kitchen window. It happens. But a broken window means that your home is now much less secure. And it will be costing you more money every minute that your heating or cooling unit is running without you feeling any benefit. A broken window is an urgent issue. And at Residential Window Service, we treat it as such. That’s why we’ll have someone come out to assess your glass repair needs as soon as possible, often the same day you call. We’ll measure the glass, show you how we can repair or replace it and then give you the best price possible. As soon as your glass is delivered we inspect it for quality and then contact you to schedule the installation. Whether you call us to fix your windows, clean them or to supply you with glass products such as mirrors or table tops, we strive to do it right for you every time. We’re proud of our excellent reputation — and you can read about it right here from our customers! If you have a broken window that you need fixed, for the sake of your family’s security and safety, please don’t wait — get in touch with us today! "Friendly and professional! We were selling our house and needed quote quickly, fit me in on same day I called! Very reasonably priced! Will definitely use again!" You don’t want to have unwanted guests in your home. Especially since they can carry bacteria and diseases. 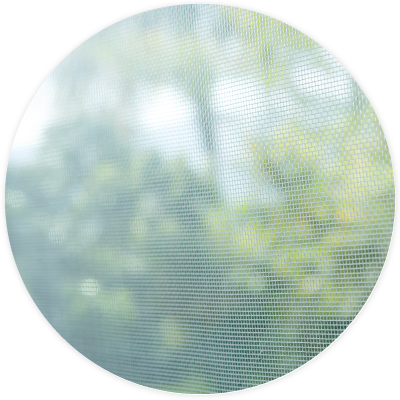 Insect screens allow you to open your windows and enjoy the warm weather, whilst keeping your family safe. 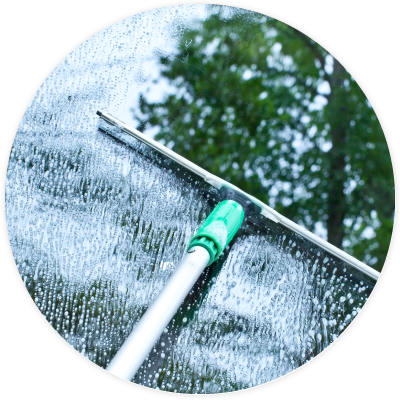 If your screens have been damaged by storms or pets, Residential Window Service has a product to fit your repair or replacement needs. All of our products are made in the USA from fiberglass, polyester or aluminum. And they are available in a range of mesh variations, colors or features — so you can select the perfect screen for your home! If you would like to install screens in your home to protect your family from insects or to keep your home cooler in the summer, get in touch with us below! "Very professional from the first call. Their communication is the best. I received constant updates with schedules and completions. Everyone I dealt with was professional and courteous. The work was flawless! I'm extremely picky but couldn't find a single thing wrong with any of their work. I'll definitely use them again." When you’ve got a busy life, you could definitely use a vacation. But sometimes, because you are so busy — it’s hard to actually find the time to getaway. We can help with this! You can have your own getaway oasis in the comfort of your own home with a custom glass frameless shower enclosure or a steam shower enclosure. 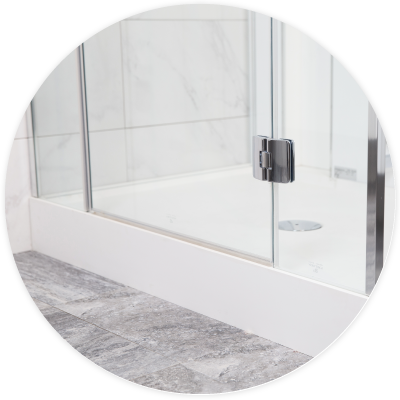 We are relied upon by homeowners, contractors, and builders to provide high quality, affordable shower solutions for virtually every home application. Our top quality, frameless enclosures are available in any style you need. Doors and panels can be made to match your requirements. And our hardware is available in several styles and designer finishes to match your current plumbing fixtures. A frameless shower enclosure is the perfect way to complete the bathroom of your dreams. We also offer steam shower enclosures for the ultimate home spa experience. If you would like a peaceful escape from reality in your own home, please get in touch with us today to set up your free estimate! Go on... you deserve it. "Great local company with honest approach to business and reasonable prices. Easy to schedule quotes and exceptional customer service." Cracks and damaged windows never look great. But neither do streaky, stained windows. At Residential Window Service, windows are our specialty. So whether it’s fixing your broken window or professionally cleaning them so they are glistening — you can count on us to boost your home’s curb appeal! 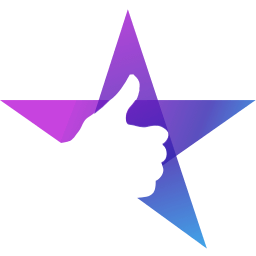 "Steve was great when I called and needed a quick quote. If you need windows for your home you really need to call these guys." Why homeowners in Tulsa, OK trust us for all their window repairs & maintenance? 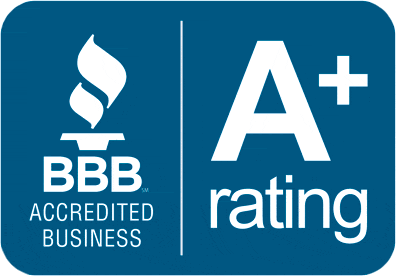 As a family-owned and operated business, we appreciate what it means to take care of your home for the comfort and safety of your family. That’s why, when you’ve got a window that needs to be fixed, we don’t hang around. We respond quickly so that you can have peace of mind knowing the security of your family home is our top priority. We’re honored to serve you and we're proud of the level of customer service that we maintain. You can read what our customers are saying about us right here! We treat every customer as part of our family through our company core values which are as follows: Service with excellence while developing a lasting relationship with you by providing value and making it easy for you to get what you need, when you need it! We look forward to serving you. Call us today for your free in-home consultation and estimate!